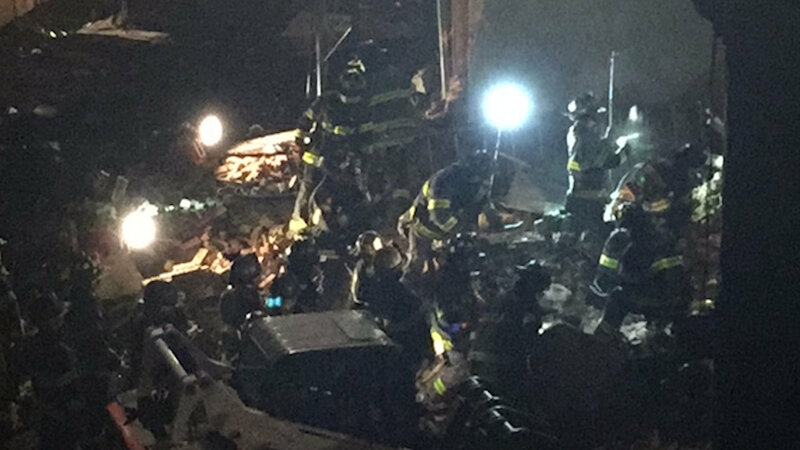 BEDFORD-STUYVESANT, Brooklyn (WABC) -- The FDNY responded to the scene of what they thought was a building collapse and discovered that it was unfounded. An emotionally disturbed person had called 911 saying that the three-story building on Myrtle Avenue had collapsed and that there was another person inside the building that was trapped. Part of Myrtle Avenue was shut down at the scene as fire trucks and emergency vehicles responded. Officials couldn't immediately tell that there wasn't a partial collapse because there was a lot of debris as the building is currently under construction. FDNY and other rescuers searched for about an hour until they determined the story was false.